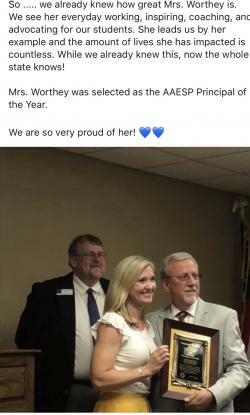 Mrs. Worthey was selected as the AAESP Principal of the Year! . . . 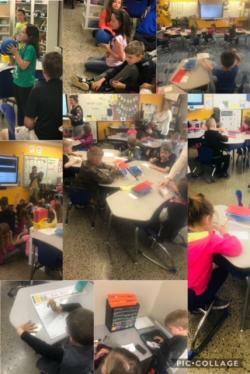 It was a great day of learning at SES! We saw multisensory phonics, discussion and questioning with our new QBalls, and some great learning centers . . .
3rd grade TAG students visited the Faulkner County Museum and Courthouse for a crime scene investigation. Students learned how detectives gather evidence and even had a mock trial led by the . . .
Mrs. Crass hooked her students today as she introduced their next text, Out of the Dust. 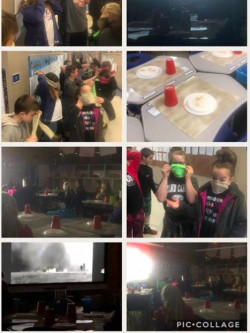 She had students wear masks as they entered the dark classroom to a dust storm happening on the SMARTboard. . . .
We love when our students get to celebrate each other. 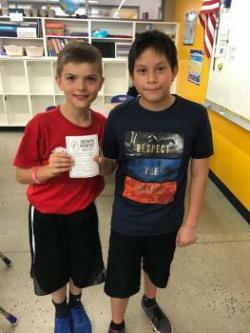 The students nominate each other for the Growth Mindset Award and we draw one each Spirit Day! This week was Braxton and Carlos. Braxton . . .